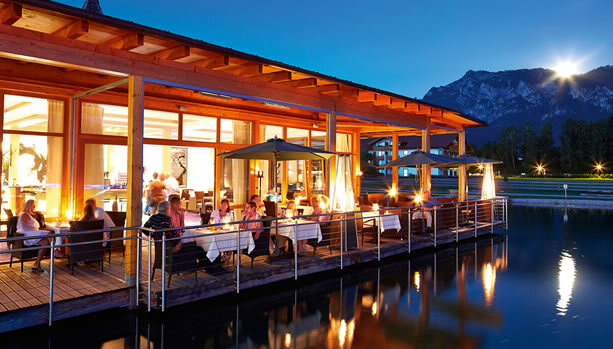 Celebrate your Pregnancy with a pampering Babymoon Spa Break in Bavaria. Wellness in pregnancy? But of course! From the fourth month onwards, wellness in pregnancy is a beneficial measure for relieving muscular tension and giving your skin some extra special care. Enjoy your pregnancy together with your partner and relax with one of the special pregnancy treatments for couples from INTO LIFE. Treat yourself, your partner and above all your baby. For both: Listen to the gentle whisper of the ear candles and enjoy the liberating feeling of a clear head after a feel-good head and neck massage. For Him: Aromatic oil massage – Gentle whole body massage with an aromatic oil blend of your choice. For both: Back and neck massage with hot stones – The synergy of powerful massage strokes and hot stones provides a gentle but effective easing of aches and tensions in the back and neck area. 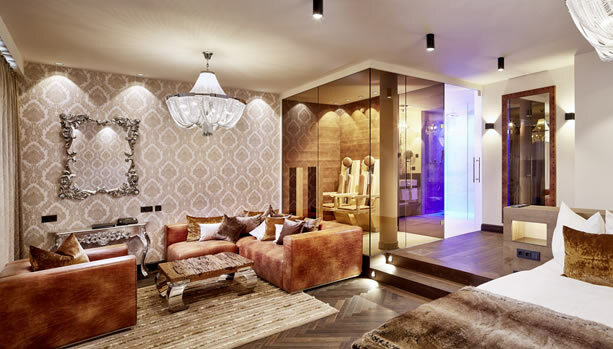 No matter which dream room you decide on, they are all beautiful, modern and light, decorated with local woods plus elegant colours and fabrics. 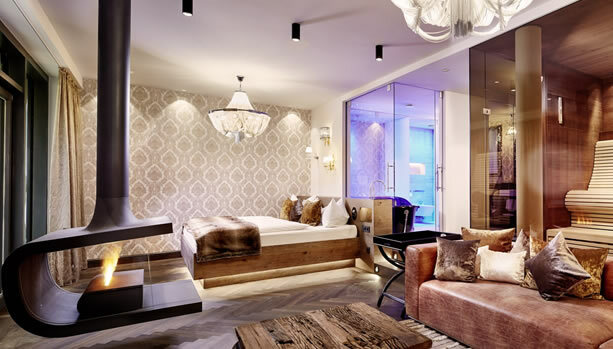 Cosy and lovingly designed – definitely no chance of homesickness! A homage to the fairy-tale king! 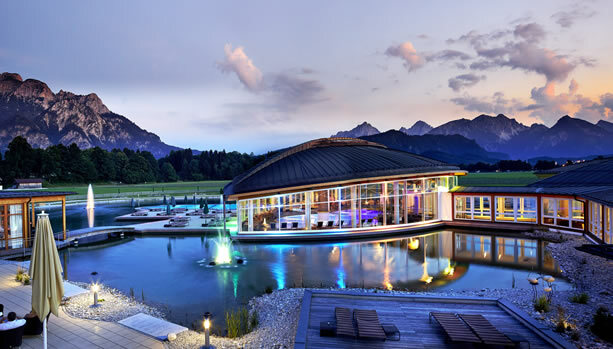 Integrated into the generously designed Schwanensee grounds is the Ludwig SPA, covering more than 4,500 square metres and with 15 bathing, sweat and relaxation attractions. Immerse yourself in this special atmosphere of colour, light, water and warmth. 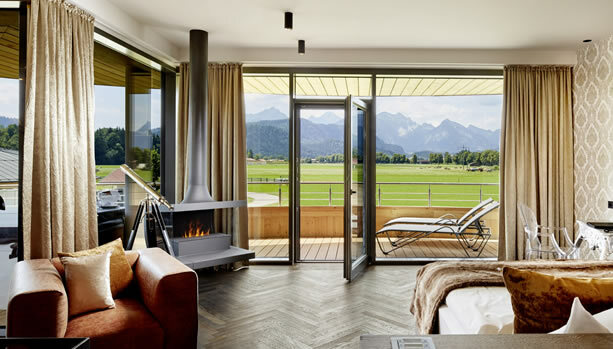 Let yourself be enchanted by the view of the beautiful Allgäu landscape and embark on a journey of discovery to see how King Ludwig’s passions are reflected in the design of the whole wellness area. 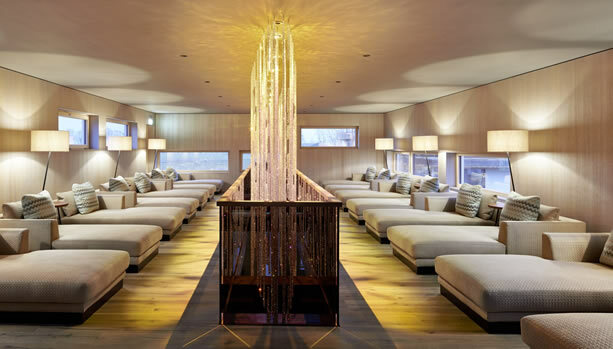 Relax in the generously sized panoramic indoor pool with an area of 160 m2 of water in the midst of the Schwanensee lake. 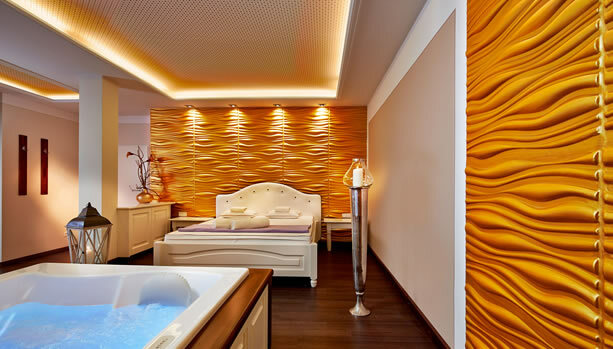 Air bubble couches, neck massage flow, underwater massages and a current channel provide enlivening, sensual moments. A convenient entry leads you outdoors into the sports pool, heated all the year round. 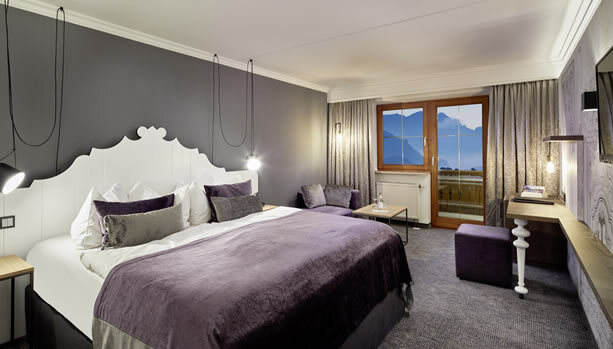 Swim in the midst of nature and enjoy the panoramic views of the Allgäu mountain world and of the Hohe Schloss of Füssen. 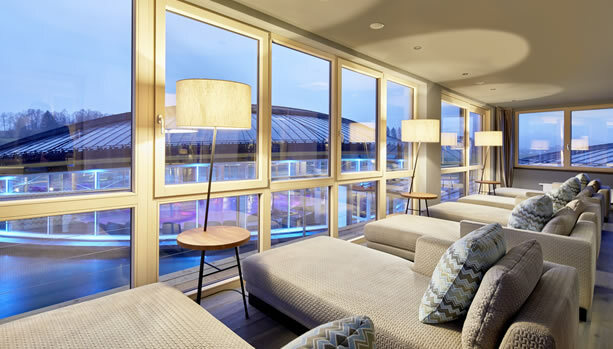 Available for your well-being is the neck flow, the whole-body underwater massage lane, bubble boards and a bench with panoramic views and massage jets. 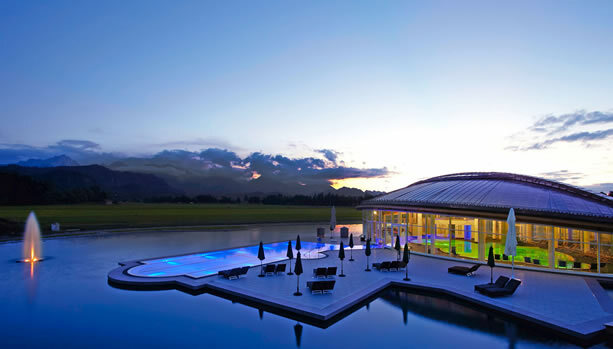 The sports pool, heated all the year round, is 20 metres long and offers 175 m2 of swimming fun, surrounded by the Schwanensee lake. The way to your loved one’s heart may well be through the stomach, and your soul feels it too. Here, everything tastes great and it still does your body good. The chef de cuisine will conjure the finest regional, light and healthy delicacies and pamper your palate with special pleasures. 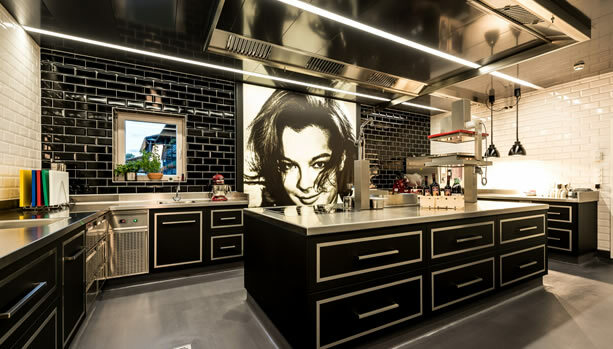 Since the end of August, Hotel König Ludwig offers small but exquisite à la carte dishes in their recently opened show kitchen! Every day, you can watch your favourite dishes being prepared and almost certainly tempt the chef to provide you with a kitchen secret or two. 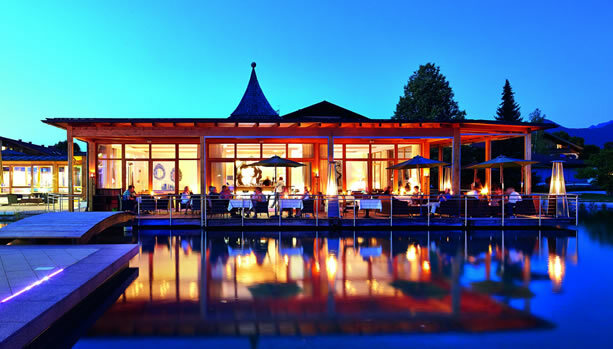 The food involves signature dishes of the König Ludwig kitchen: mainly regional produce, arranged and served with loving detail. 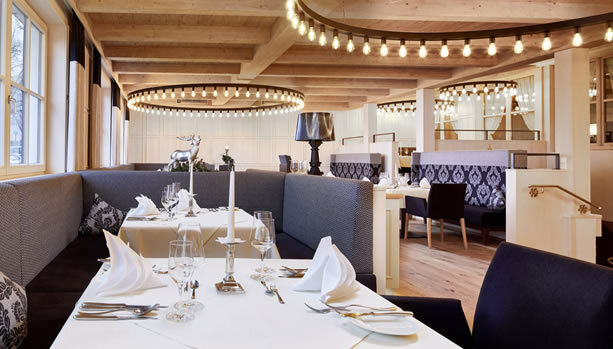 Classics such as the club sandwich or Caesar salad are menu essentials, as are fresh pasta or sweet dishes such as Kaiserschmarren (pancake-style dessert) or Palatschinken (crêpes). Ready for this unforgettable Babymoon Spa Break for Expecting Couples?